This past month I've done a little bit of shopping. 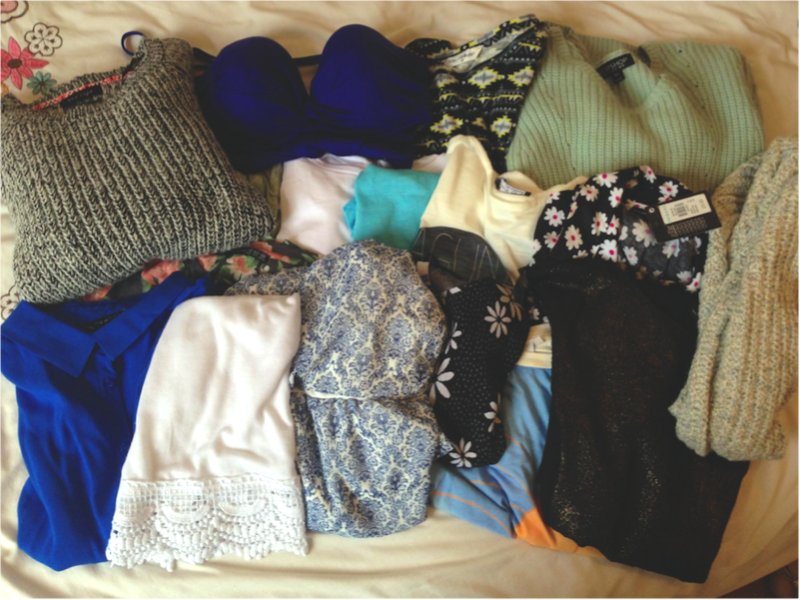 Okay, maybe a lot of shopping! So I thought I'd show you what I've picked up recently as I've managed to get some bits I really love. I didn't want to overwhelm you with photos, so I've grouped most things up, and done individual photos of some of my favourite things. Hope you enjoy. First up is Primark. 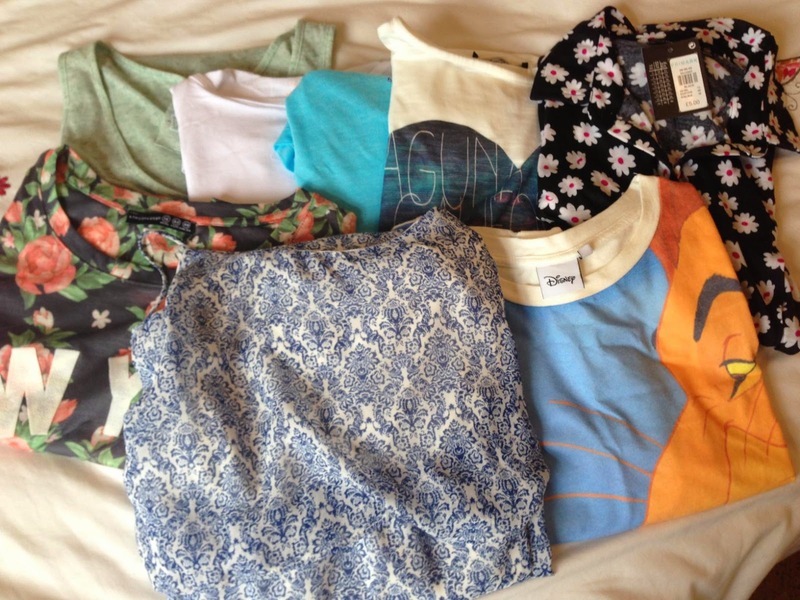 I picked up some basics and a few summery bits whilst I was there, including a mint been slouchy vest which I really like for summer, as well as a floral slightly cropped loose top. I also got something which as soon as I saw I knew I had to have, and thats the Lion King top, as it's my favourite film I couldn't leave it behind! My mum very generously got this dress for me. 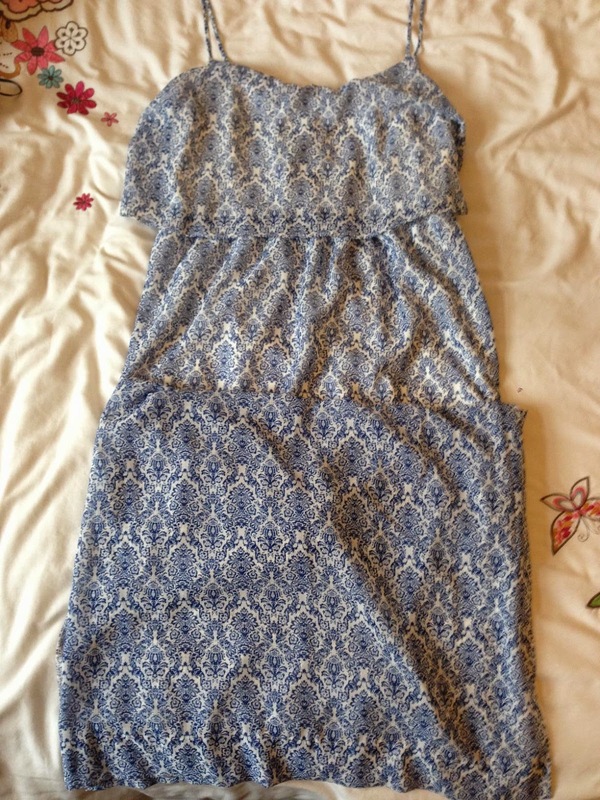 It's a full length dress, with a gorgeous pattern on and I love the colour, It's got a slip underneath till about mid thigh, and has a slit up the side. It's quite a casual dress and I can't wait to wear it over summer, especially If I go on holiday. 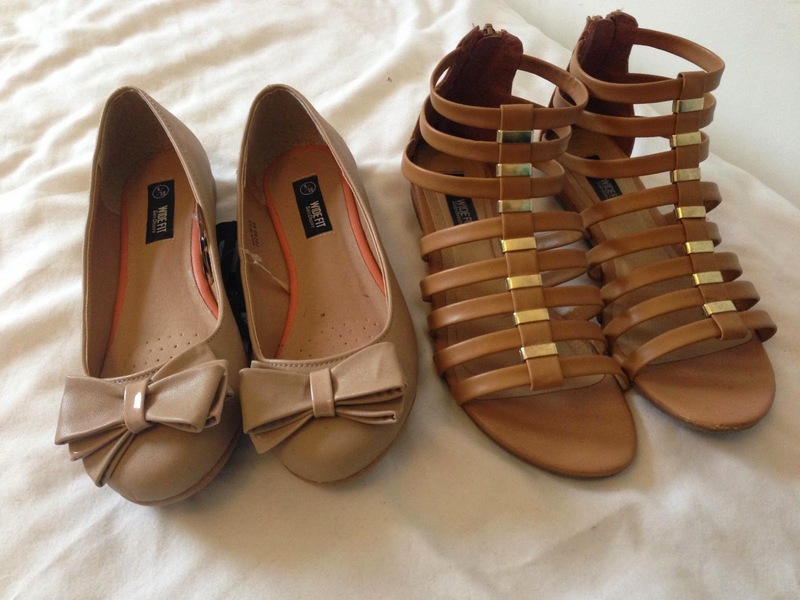 I also picked up these shoes from Primark, and I'm in love with the gladiator sandals and I've worn them loads already. These few bits are all from different shops, and most were in the sale which is always great. The daisy top is from Debenhams and is a slightly cropped loose top, which looks lovely with high wasted shorts. The black, grey and lime green aztec top is from Miss Selfridge and was on the sale for £7, it's another copped slightly loose top, as Im really loving this style at the moment. 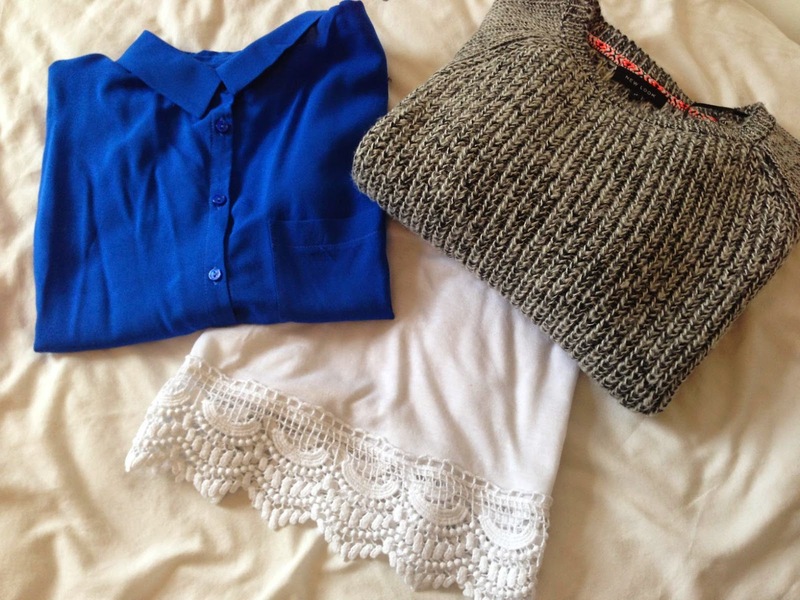 The jumper and scarf I picked up from the Topshop sale, with the scarf being £5 and the jumper £20. I love both of these, the jumper is so soft and a lovely spring colour. 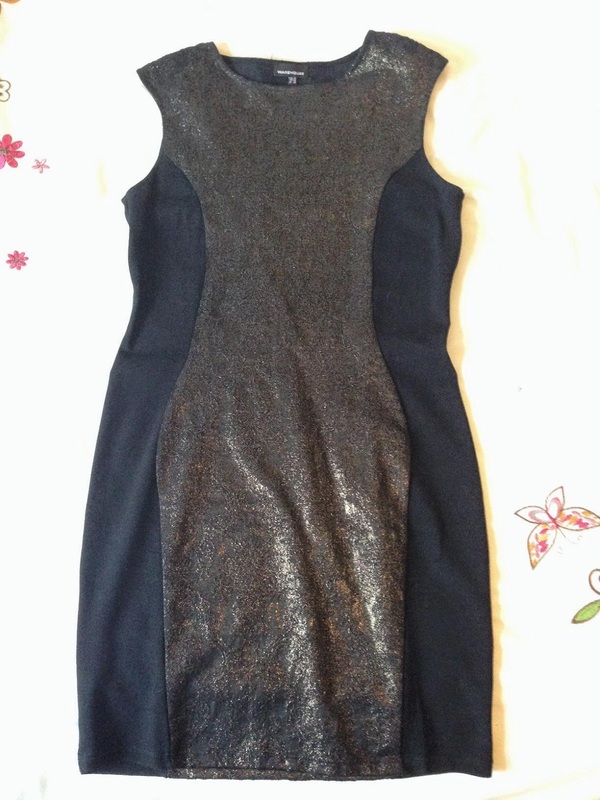 This dress is from Warehouse, and is a bargain, £50 reduced to £8! It's not something I'd normally wear, but for £8 I thought I'd give it a go, It's quite figure hugging, but the panelling makes it a bit more flattering, and it's not too short which is good. This is probably one of my favourite buys. This bikini is from H&M, and as soon as I tried it on I had to have it! This shade of blue is probably one of my favourite colours to wear, and the style is really flattering and fits well. I'm off to Cyprus in June so this baby is going to have it's debut then! I picked up these bits from New Look. The jumper was in the sale, and is probably something I won't wear until autumn comes around as it's quite thick. The blue boxy shirt is one of my favourite styles to wear at the moment, and I think it's really suits me, especially with high wasted jeans or shorts. The white top with the detailing at the bottom is really lovely and looks great with denim. I wore this to a party, and liked it some much I brought the same style in a different design! The floral top is the same style as the white top above, with a cream detail at the bottom, I think these are lovely for summer. I can't remember who it was, but I saw a blogger wearing this Hogwarts jumper a few weeks ago, and as a massive Harry Potter fan, I had to buy it, now I just need a wand and I'm practically a wizard! These denim shorts are from New Look, and I brought them as motivation to loose some weight because they're currently a bit too small for me. 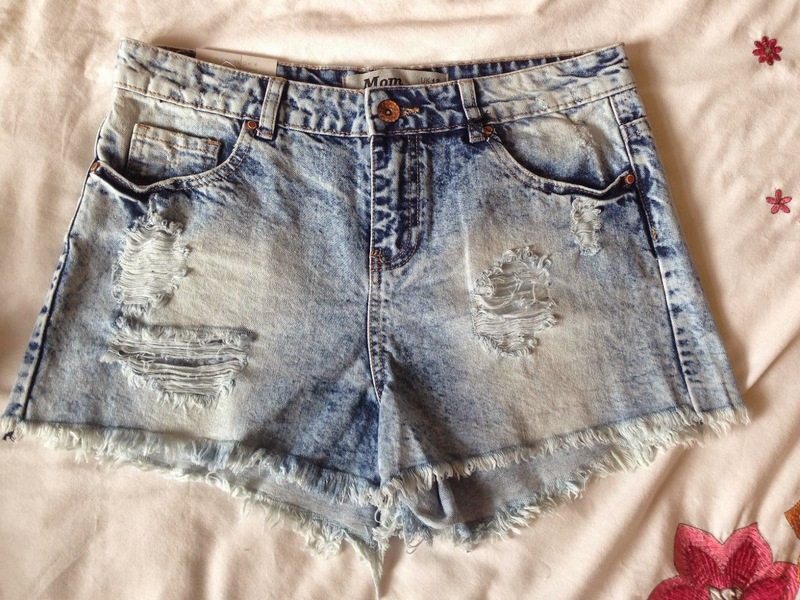 Im hoping I can fit into them a bit better by the time I go to Cyprus, as I really love the distressed look, and I basically live in high waisted shorts over the summer. 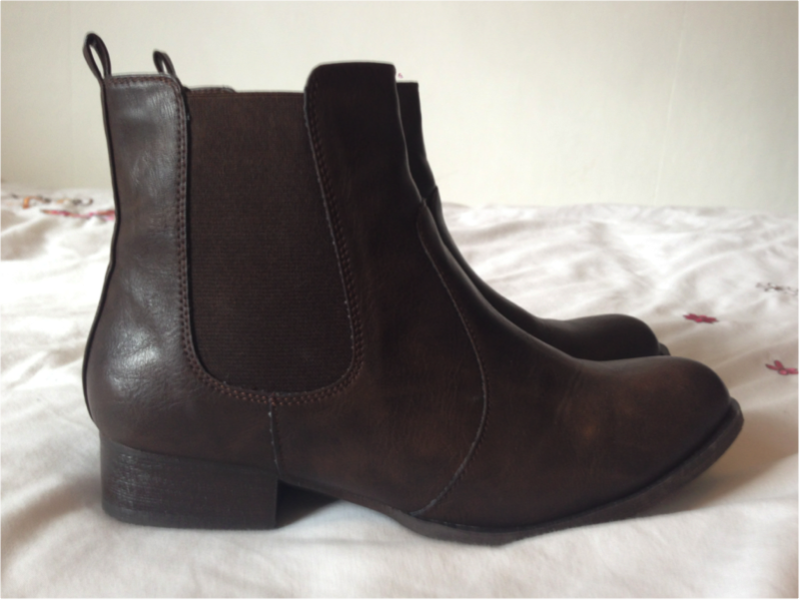 The last thing I picked up were these dark brown Chelsea boots from New Look. I've been wanting a pair for a while but wasn't sure If they were my style, so when I saw them in the sale for £12 I thought I'd grab them and give them a go. So that's my recent purchases, let me know in the comments what you think of any of the bits I've brought. And If you've done a haul post/video let me know, as I'm really nosey and love seeing what people buy! I got it all a little bit of a time so it didn't feel like i'd got loads until I got it all to take photos, and then I was like oh crap I've spent a lot of money! Im so in love with the Topshop jumper, it's like the perfect spring green and so soft and cosy but not too thick. Love it. glad it make you smile, I liked it too :) And thanks, I've got a really good Primark at home so always manage to find some things :) And Im so happy with the £8 Warehouse dress! Such a bargain. 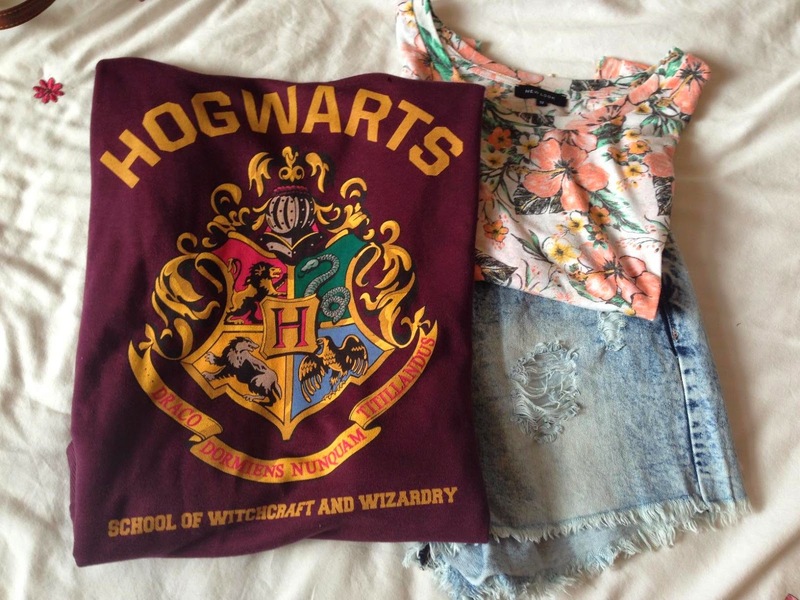 Everyone needs a Hogwarts jumper! Lovely selection love the hogwarts jumper! 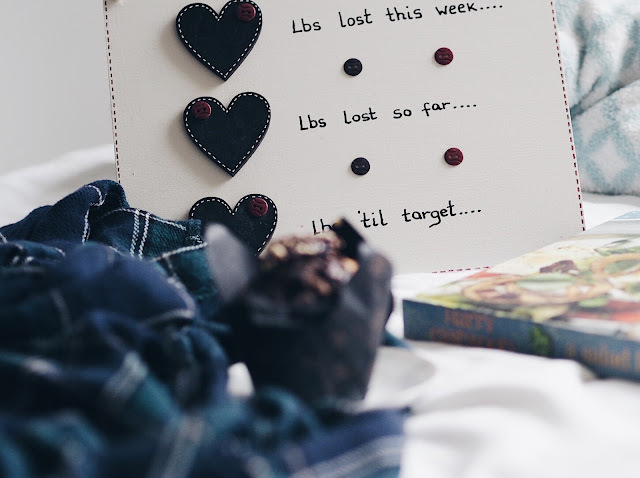 I love a good primark haul , this is great! Thanks :) Im always in Primark, my bank balance does not enjoy it. Great haul! that has to been one of the best haul blog titles I've ever seen, made me laugh! Glad you like the title, it just kind of came to me! haha. And Im so happy to have found the boots in the sale in my size, and the hogwarts jumper is the one! I followed you on bloglovin. You have amazing blog! Love the £50 to £8 dress, what a bargain! Also that Hogwarts jumper! I'm in love! Your blog is fab by the way!